Favorite Adoption Story: I have been involved with a number of domestic adoptions, however I will admit that the adoptions of my son and daughter stand out as two of my favorite. I feel like I am able to assist adoptive families by drawing from our personal adoption experiences, relationships with our children’s birth parents, and my own process of coming to accept my infertility. I understand that the adoption process can leave one feeling extremely vulnerable. I understand that there are many questions and concerns. It’s scary. But I have witnessed many, many successful and joyful outcomes. Every adoption is a blessing to me. 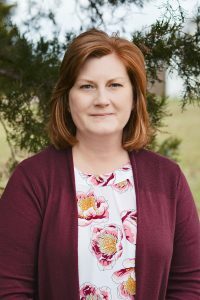 Education: Lara holds a Bachelor of Arts in Business Administration from Lindenwood University and a Master of Arts in Counseling from Missouri Baptist University and maintains a Provisional License Professional Counselor status through the State of Missouri. Responsibilities: Lara oversees the pregnancy counseling in Missouri, domestic adoptive families, home study process and social workers. In addition to her role of Domestic Program Manager Lara also serves as the Payroll Administrator for Nightlight.